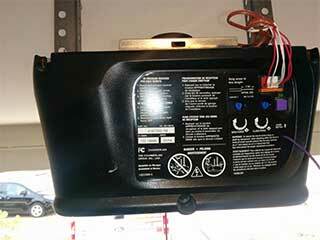 The invention of the garage door opener has been quite an important one for homeowners all over the world. Nothing beats the convenience of coming home at the end of a hard day and casually parking your car in your garage without the need to get out and manually open the door. Unfortunately, electrical products in our homes can suffer from a few problems from time to time so it is always good to familiarize yourself with these devices, especially with one that gets as much use as your garage door opener. New garage doors all come with an emergency manual release. This is usually a red cord that dangles from the main unit. A simple tug of this cord will release the door from the opener and allow you to use it manually. It is a good idea to hide this cord if you need to be away from your home for an extended period of time, as thieves can use wires and poles to try and pull this cord and gain access to your home through the garage. It would also be a good idea for you to rehearse using this cord so that you'll be familiar with it during times of emergency. The only thing most people consider when getting a new garage door opener is how well it can open or close their door, but many modern models these days come with a few additional features. One of these features is rolling code technology, which automatically changes your opener's internal code each time you use it, thus preventing a tech savvy burglar from "hijacking" it. Another feature is Wi-Fi compatibility, which can allow you to use your opener from virtually anywhere in the world. You should take the time to study your opener and see what added convenience it can offer you. While you can always contact our team for any type of assistance, the best way for you to acquaint yourself with your opener and all of its different functions and features is to read your owner's manual from start to finish. It will provide you with some excellent safety and maintenance tips. For more information, call our experts at Garage Door Repair Riverdale today.